Vasilis Aggelis is Head in Customer Intelligence and Experience at Piraeus Bank. His relation with the banking sector was established in 2001, working as an Internet Banking Project and Product Manager at EGNATIA BANK. 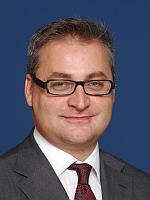 In March 2005 he joined Piraeus Bank. Vasilis has a lot of experience in the fields of business analytics, data mining and campaign management, especially in banking sector. Customer centricity is the biggest challenge for him. He has the responsibility of all customer insights and campaign management projects in Piraeus Bank and manages a strong team of experienced and qualified colleagues, with a wide range of knowledge in many and different areas like marketing, commercial approach, business analysis, data mining, analytics, BTL campaigns, data value management, etc. Mr. Aggelis has published many academic papers at international conferences and in scientific journals, related with data mining applications in banking datasets. He is also the author of several books. Everyone’s hearing about Big Data, but what is it for? Big Data era brings big challenges and drives next big things. Piraeus Bank Insights are long prepared to cope with it. Mr. Sotiris Bithas holds a B.Sc. in Chemical Engineering from the National Technical University of Athens, Greece, and a M.Sc. in Information Technology from the University College London, UK. He joined Intracom in 1998, where he led technical product development teams, involved in various technological areas such as data broadcasting, video & voice over IP and distributed systems. Giannis Bouras is the CEO of Minerva SA edible oil. He started his career in Minerva in the supply chain of the company as raw materials buyer. He then moved to the marketing department, where he went through all the stages of the brand management, and finally appointed as marketing director until September 2011, when he moved to his current position. He graduated as a Chemical Engineer from Aristotle University of Thessaloniki, and he holds a master degree in Business Administration. Dr. Kyriakopoulos' research and teaching interests lie in the areas of strategic marketing, business strategy, and organizational learning. His doctoral thesis investigated the role of market orientation in Dutch cooperatives (with a fellowship by the Greek State Fellowship Foundation and leading Dutch firms). As a visiting scholar at University of Wisconsin-Madison, he did his research on market learning. Prior to his appointment at ALBA, he worked as an Assistant Professor at Maastricht University and he received numerous grants for his research. His research has appeared in leading international journals such as the Journal of Marketing, Organization Studies, International Journal of Research in Marketing, Journal of Management Studies, Agribusiness and international conferences. He has acted as a referee for journals and conferences such as Journal of Marketing, Academy of Management Journal, Organization Studies, American Marketing Association conferences. Dr. Kyriakopoulos has extensive teaching experience at BA, MSc, and MBA level in Strategic Marketing, Business Strategy, and Marketing Management. He has taught executive seminars in numerous firms such as Shell, Novo Nordisk, Ericsson, TITAN, Vodafone, Philip Morris, Eurobank. He is a member of the American Marketing Association, Strategic Management Society, and European Marketing Academy. Recently he has co-edited (with Dr. O. Epitropaki, Dr. S. Zarkos) the book "Το Μάνατζμεντ σε Καιρούς Κρίσης" (Management during crisis). 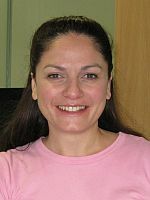 Mrs. Eleni Gerasi, MSc, CFE, CGEIT, CRISC, is an experienced IT Governance, Security and Risk professional, an ISO 27001 Lead Auditor and an ITIL v.3 Certified Professional, with a background with distinction in Physics and Data Communication Systems. She has 20+ years of professional experience in the financial services, telecoms and consulting sectors, in the fields of IT Governance, Data Privacy, Information Risk management, IT Compliance, Information Security, IS & Internal Audit, Fraud Prevention and Fraud Investigations. Mrs. Eleni Gerasi is a member of the NBG Group IT Governance Division and an official instructor in the areas of Regulatory Compliance, Fraud & ΙΤ Governance. 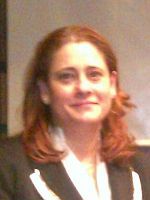 She is also the Domestic Relationships Director of the Hellenic Association of Certified Fraud Examiners (HACFE) and α member of the Board of Directors of the Information Audit and Control Association (ISACA), Athens Chapter. ISACA suggests that “Big data represents a trend in technology that is leading the way to a new approach in understanding the world and making business decisions”. Big Data can be very powerful and have a significant positive impact on an enterprise. On the other hand, the rise of privacy issues can result in costly legal consequences. Enterprises eager to reap the relative benefits need to recognize their responsibility to protect the privacy of the personal data gathered and analyzed with big data. Moreover, they should focus in maintaining adequate mechanisms to govern and protect privacy and in optimizing risk levels and resource use. Mrs. Eleni Gerasi will present the impact of Big Data on Privacy, Privacy Risks, Big Data Privacy Strategies, together with Governance of and Assurance considerations for Big Data Privacy. Founded Eastat Ltd in 1998. In those days data was a "nice thing to have" and also "Wise thing to have". Since then I developed consumer-based models for Telecos, Banks, Automotive, Retailer and Online Internet companies worldwide. Specializing in the field of Data Mining, Data Base Marking and Market research, to merge Hard & Soft Data for predictive modelling. In 2006 founded WetWater B.V. (together with Mr. Meir Lasry and Dr. Nissan Levin) to bring Big Data closer to Marketeers via marketing automation applications "Knowit" and "Marketit". Beside the technology, WetWater providing big scale projects for Micro Segmentations that utilize data from consumer intensive data bases. Holding Ph.D. degree in education administration from Tel Aviv University, specializing in statistical methods for developing structural equations modelling and multi-level analysis. Member of ACM (KDD) Since 1998. The main questions Marketeers ask today is how to identify and leverage the distinct digital lifestyle profiles in order to create real value out of their customers’ digital behaviour. Regarding segmentations, during the last years Telecoms and Banks were focusing on Micro Segmentation that was bases on Behavioral and Usage as well as demographics. Since the emergence of the social networks and various digital channels, devices and applications - new needs for segmentation that are based on digital behaviour and multi-channel emerged. In the presentation we will present how Telecoms & Banks utilize Digital Lifestyle in order to better understand and communicate with their customers, and what the future holds for Mobile-Wallets. We will present the competing methodologies to profile customers based on their Digital Lifestyle: From DW and from surveys. We will try to answer who are the digital lifestyle influencers and if NPS still relevant. Examples from Greece and other countries will be demonstrated. Mr. Dimitris Kouvaras has been working with big IT multinational companies for more than 10 years and has extensive experience in addressing real customer issues and challenges. For the past 4 years he has been in SAP where he is currently responsible for Business Development for SAP in Greece, Cyprus and Malta in the areas of Business Analytics, Databases & Enterprise Information Management. 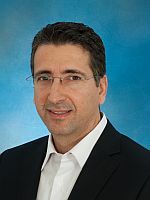 He has been focusing on working with customers, from large Greek multinationals to startups, on the best ways to leverage the latest innovations from SAP for making more sense of their data (big or small), extracting meaningful & actionable insights and easily making them available to broader audiences. He holds a BSc in Applied Informatics and an MSc in Data Communications & Networks. Showcase how end users without extensive statistical expertise can make sense of Big Data and extract meaningful insights from them for business purposes, in a simple, automated and high performing way. 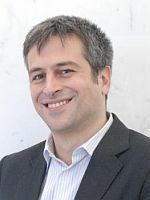 Dr. Nikolaos Mavridis, PhD from the Massachusetts Institute of Technology (MIT) has taught, written about, designed, and built Intelligent Systems, Robots, and systems exhibiting Collective Intelligence, since his early youth, having served as faculty at UAEU, and is now with NYU and NCSR Demokritos. He is the founder of IRML (the Interactive Robots and Media Lab), which achieved wide publicity for "Ibn Sina", the world's first Arabic-Language Android Robot, as well as "FaceBots", Microsoft-award-recipient Social Robots which access info and publish on FaceBook. 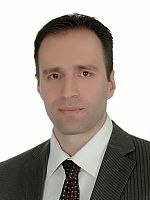 Furthermore, he has designed and operated the hybrid physical/electronic participation workshops of Recreate Hellas, which he presented at the Council of Europe, and he is now involved in numerous projects regarding the intersection of social networks and data mining with recommendation systems, policy formation, and public opinion analysis. Social Networking Sites have revolutionized everyday communication, marketing, as well as our perception of the world. Furthermore, various physical social technologies which enable harvesting of the collective intelligence of groups have started to become more widely spread. On the other hand, data mining techniques have started to become tailored to the peculiarities of social media-derived data. Thus, the big question arises: how can we combine the above in order to harness the collective mind of citizens, so that we can achieve effective participatory governance? Examples from real-world cases will be presented. Georgia holds the position of Assistant Manager of Customer Insights and Campaign Management at Piraeus Bank. Prior to Piraeus Bank she worked for Lambrakis Press (in.gr) and E-Construction S.A. She holds a Bachelor’s degree in Marketing and an MBA in e - business Management. She has practical experience in Digital Marketing more than fifteen years and in Customer Insights in the last five years. 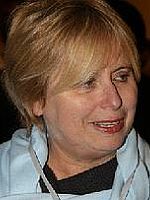 Georgia started her banking carrier in Piraeus Bank in 2004 in the Electronic Banking Division and in 2008 joined the Customer Insights. Today, her main responsibilities are the Retail Banking Segmentation and the extend use of customer analytics to make data actionable with deep insights and forecasting to identify future revenue opportunities. Spyros Sakellariou is Marketing Section Manager for Content Delivery and Value Added Systems of Intracom Telecom. He has been working for Intracom Group since 1998 where he gained diverse experience in providing solutions, as well as designing and implementing billing, value added and integration systems for Communication Service Providers. 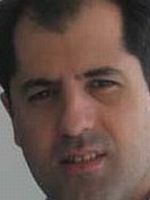 Mr. Sakellariou has working experience in software development and education. 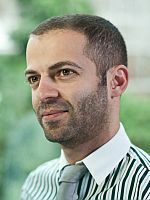 Mr. Sakellariou holds an MSc in Information Technology from the University of Nottingham UK and a BSc in Computer Science from Loyola University of Chicago USA. Big Data for Communication Service Providers has been the industry’s elusive promise of increased revenues and reduced costs for the past two years. A real use case deployment will be presented illustrating how a Greek ISP managed to increase revenues by 1.2 Million Euro per year and optimize staff performance by 6% to 7% utilizing Intracom Telecom’s BigStreamer platform. Based on this initial success the plans for the future and the potential benefits will be discussed. The presentation will conclude with Intracom Telecom’s study that compares Big Data investment costs against revenues and savings that should be expected by Communication Service Providers. 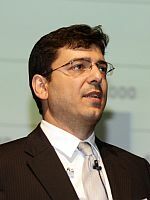 Nikos Sampanis has been the Country Manager for Greece and Cyprus of Forrester Research since 2005. At the same time, he has been running Forrester’s Channel Partner for the territory, Tangent Ltd, as its General Manager. 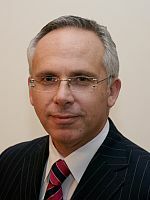 Nikos Sampanis started his career in UK in 1989 as a Research Associate in the Computation Department of UMIST and subsequently served as a Senior Software Engineer in Lloyd's Register, at Croydon, until 1992. 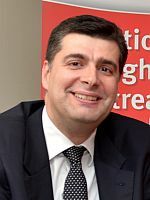 On his return to Greece he joined (Vodafone) Panafon in Athens in 1994 and served from various positions in its IT (Business Systems) Department, including those of Corporate IS Analysts Group Leader and Service Bureau and International Projects Group Leader. 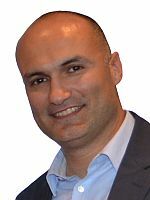 In 2000 Nikos Sampanis joined Sun Microsystems as Regional Presales Manager for its Mediterranean region. In 2001 he was appointed as Country Manager for Greece & Cyprus for Sun Microsystems, then in 2003 he assumed the position of Regional Sales Manager for Southern and Eastern Europe, Middle East and Africa, with responsibility for the Education and Research industry sectors. 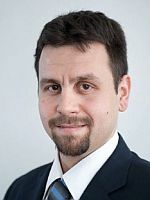 Nikos Sampanis holds an Electrical Engineering Degree from National Technical University of Athens, a Master’s Degree in System Design from University of Manchester and a Ph. D. from UMIST. General Manager, Retail Banking, Piraeus Bank S.A.
-	Contact center: inbound calls (customer inquiries, phone banking, help desk), incoming emails and forms and outbound calls. Sotiris started in Piraeus Bank in January 2000 as Director of the Electronic Banking Division and, before that, he was the CIO of the former Egnatia Bank (then MarfinEgnatia Bank, then Cyprus Popular Bank, now absorbed by Piraeus Bank). Is analytics an important factor of our corporate culture? Do we spend our resources and our attention in the crucial analytics process? The time that we thought analytics as a luxury has been passed. Let’s focus in the present and future business analytics necessity. Alexis Tortopidis is a Manager currently leading the Analytics practice within Enterpise Risk Services Department of Deloitte. He holds a BSc in Business Administration from Athens University Of Economics & Business and a MSc in IT, Management and Organisational Change from Lancaster University, UK. He has 10 years of experience in the IT audit sector and specializes in providing IT Risk Management and Data Analytics services to distinguished Deloitte customers across various industires. He has lead numerous data mining / analytics projects in the areas of revenue assurance, fraud detection / investigation, contract and regulatory compliance, process optimization, etc. He is a Certified Information Systems auditor (CISA) and an ACL Certified Data Analyst (ACDA). 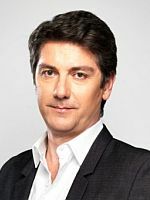 Giannis Tsiliras is CRM Director at OTE Hellenic Telecommunications Organization & COSMOTE Mobile Communications in Athens. He is responsible for both companies' customer experience programs and the establishment of customer lifecycle management programs, focusing on customer retention and development, for consumer and corporate segments. He started his career in the UK as an engineer in product development for Weetabix (Food industry) and then for Jaguar Cars (Automotive Industry) as a senior engineer for powertrain systems development. 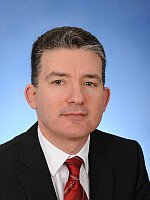 He continued his career with STET Hellas Telecommunications (currently known as WIND) being appointed to the position of the Commercial Processes Manager before joining COSMOTE in Dec 2003, as International Commercial Affairs Deputy Director. Konstantinos Tsiptsis was born in Athens Greece in 1971. He has an MSc in applied statistics and a working experience in CRM & Customer Intelligence for more than fifteen years. Working for companies such as Vodafone, SPSS & Eurobank, he has in-depth understanding of numerous industries including banking, telephony and retail. For the last eight years he holds the position of CRM & Customer Intelligence Head in Eurobank, one of the biggest financial institutions in Greece & Balkans. He is an internationally experienced consultant and speaker regarding Business Analytics & Relationship Marketing applications. His domains of expertise are mainly strategic CRM, life cycle management, customer segmentation management, direct response marketing and Campaign Management. He has written the book Data Mining Techniques in CRM: Inside Customer Segmentation, regarding Data mining & segmentation management which became a best seller in Europe. His vision is to help Companies bridge the gap between technology and its use in high-value marketing applications. Mr. Tsoubris is a senior executive with 22 years of experience in the ICT, Banking, Insurance, FMCG, Retail and Telco Industries. With unparalleled combination of experience in Management, Sales and Business Development and Operational Excellence. Since January 2013 Heading the Management Consulting Practice of ICAP Group for Greece, Romania, Serbia, Bulgaria and Turkey. He holds full P&L responsibility and is a Board Member of ICAP Advisory. Running the solution and services portfolio of two business units: Enabling Technologies and Business Strategy & Planning. With strong business acumen and very strong management skills have successfully managed medium to large size consulting & service delivery and IT solutions companies, motivating and empowering teams and members, executing and fine-tuning marketing and business plans. Successfully managing very aggressive and multi-cultural consulting, sales, presales and project delivery forces and international partner/vendors as well. He worked for multi-national companies servicing medium and large size organizations with turnkey solutions. Entrepreneur with excellent and rich technology background and industries domain knowledge. Combines business consulting, technology and innovation to provide solutions to business problems. Holds an excellent MSc graduation mark of University of Patras, Polytechnic School of Engineering, Department of Computer Engineering, in Computer Engineering and Artificial Intelligence. Big Data: Yes I like it! Where is the value? A revenue generator? Can we measure ROI? For the majority of 2013, big data dominated the media discussion as businesses big and small sought to make sense of what exactly it is, and more importantly, what they should do about it. The three biggest challenges associated with big data investments include determining how to get value from data, defining the big data strategy and obtaining the skills and capabilities needed to make sense of it in a meaningful way. One of the biggest challenges with big data investments is pinpointing exactly how business leaders should be measuring return on investment, and more importantly, over what period of time. In 2014, business leaders should begin to deploy big data-enabled solutions instead of big data as a solution. As we continue to see the emergence of big data-enabled solutions, every single business should leverage the power of data analytics and predictive analysis. Many have been doing so for years, whether by monitoring Google analytics or social activity. But is this enough?